Handle will come installed on bucket.Handle will come installed on bucket.Handle will come installed on bucket. 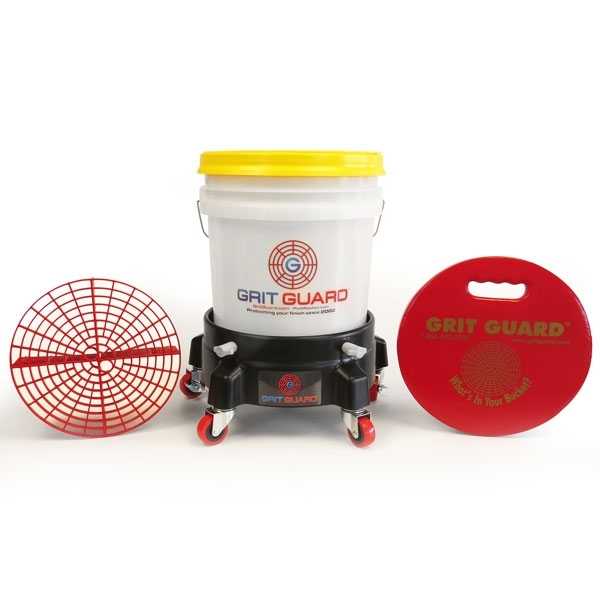 The Grit Guard 5 Gallon Washing System with Dolly is the ultimate cleaning kit that includes a heavy-duty 5 Gallon Grit Guard Wash Bucket with a matching leak-proof Gamma Seal Lid, Grit Guard Insert, Knee Pad and Dolly. 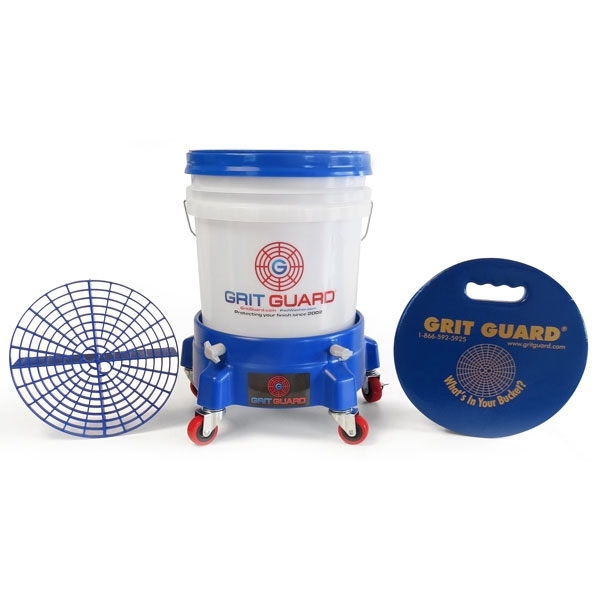 This convenient system is ideal for most any car, truck, trailer or boat. 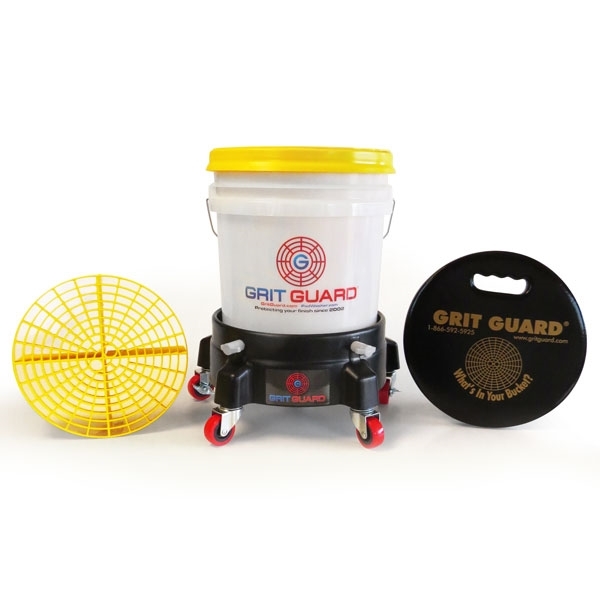 The Grit Guard Washing System with Dolly is designed to prevent swirl marks and scratches while washing your vehicle. 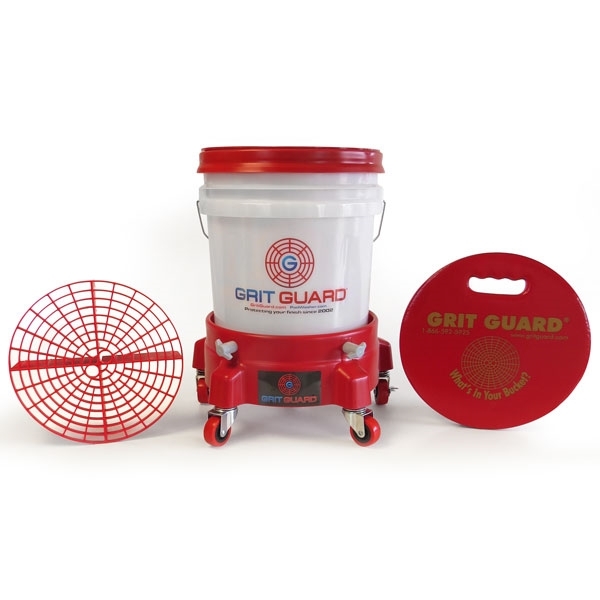 Many color options are available for the bucket, lid, insert, dolly, and kneeling pad. Mix and match to customize your system. Grit Guard 5 Gallon Washing System with Dolly is designed to prevent swirl marks and scratches while washing your vehicle.